Red Cross provides assistance to residents of Hempstead apartment fire. Over the last 7 days, the Greater New York Red Cross provided emergency assistance to 71 adults and 26 children following 51 local disasters. Here are some highlights from last week and a preview of upcoming activities (see below). On Saturday a fire in Hempstead, Long Island displaced over a dozen residents, Red Cross volunteers responded with relief efforts. The entire Stuyvesant High School Red Cross club and other volunteers installed smoke alarms in 84 homes on Saturday as part of the #GetAlarmedNYC campaign. Red Crossers worked alongside the Brown Brother Harriman team to install 530 smoke alarms in Harlem on Friday. Metro New York North Red Crossers spent their Friday installing 33 smoke alarms in homes across White Plains, Hartsdale, Yonkers, Ossining and Brewster. Red Cross volunteers provided canteen services at the memorial service for retired NYPD Sgt. and Putnam County resident James O’Neill on Friday. 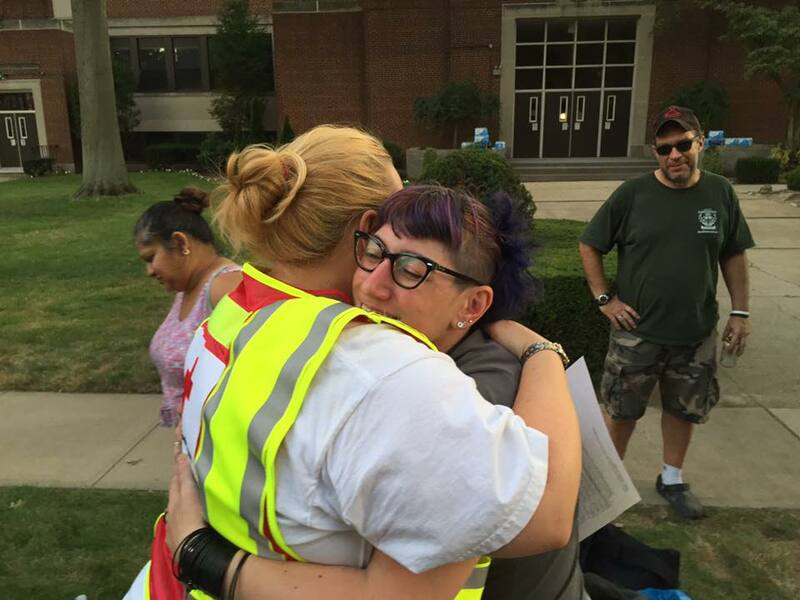 A fire broke out in Mount Vernon on Wednesdaynight; with the help a friendly neighbor opening up their home, the Red Cross was able to setup a command post to provide assistance to those affected by the fire. SI DAT Captains held a training exercise on Wednesday. The session included an overview of Emergency Response Vehicles and how to properly operate lift gate on a box truck. Red Cross Disaster Action team volunteered at NYPD’s Harmony Day in Staten Island on Wednesday. In our latest #MyRedCrossLife Instagram profile, volunteer Mary Ann Brigantti discusses a memorable experience she had while assisting a pregnant woman during a disaster. Red Cross CPR and First Aid instructor Lipica Shah took over our Instagram last week to give summer safety tips during the heat wave that has unfortunately followed us into this week. July 25, 26 & 29: Red Cross blood drive: 1 to 7pm: 520 West 49th Street, Manhattan. Schedule an appointment to donate today. July 27: Orientations for volunteers are coming up! Thank you to Sohel Hossain for the great feedback from the last session. Sign up here to attend the next one. July 28: To help prepare young people for disasters, the Pillowcase Project will be provided to campers from across Staten Island. July 31: Sharknado: The 4th Awakens will be making landfall on the Syfy Channel at 8 pm on Sunday, July 31. At the Red Cross, we like to have a little fun with the "disaster" movie franchise and this year will be no different. Expect another video on our Youtube channel before the premiere and we'll be live tweeting the movie. Come join us! Client Services...The Road to Recovery!